Obituary – Auer, Lila “Lee” (Davis) « Perry High School Alumni Association, Inc.
﻿- daughter of Mr. and Mrs. Elmer V. Davis of Perry, was born on December 3, 1924, in this city and has attended the Perry schools for 11 years. She received a double promotion in both her second and fifth grades. In addition to being Outer Observer in the Order of Rainbow, she has been secretary of the mixed chorus for 1940-41. She was in the junior and senior plays, has been second soprano in the mixed chorus for two years, and is a member of the high school trio. Lila Lee was football queen during the past grid season, and was named to the National Honor Society for her last year in high school. Lee Auer (Lila Lee Davis), 81, of San Rafael, CA, died peacefully at her home on Friday Aug. 11, 2006, after a long battle with cancer. She is survived by her only child, Louis, and his wife, Kimberly, of Ladera Ranch, CA. She is also survived by her niece, Amy Auer, of Westhampton Beach, NY. She is predeceased by her parents, Elmer and Minnie Irene Davis. Her dear husband, Stuart F. Auer, passed away in 1963. 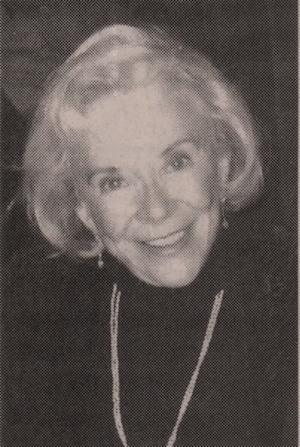 Lee was born and raised in Perry, Oklahoma, and graduated from Perry Senior High School in 1941, where she was active in music, theatre, and student council. 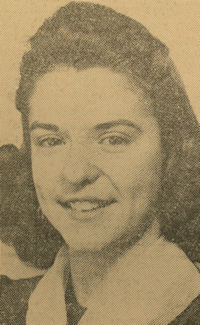 She was also a Homecoming Queen and a member of the National Honor Society. She attended Northern Oklahoma Junior College at Tonkawa for two years and graduated from the University of Oklahoma, where she was active in the Delta Gamma sorority and was the recipient of many more achievement awards. She then settled in the San Francisco Bay area, where she taught high school for the SF Unified School District for 23 years. Lee loved to travel the world, learn about different cultures, and play tennis, bridge and golf. She will be remembered for her grace, generosity, dignity, and wonderful sense of humor. Lee will be greatly missed by her family and tremendous circle of friends. In lieu of flowers, please make a donation to either Hospice of Marin or the Susan Komen Breast Cancer Foundation.